Francesco Corti is a PhD Candidate in Political Studies at the Graduate School of Social and Political Studies based in Milan. 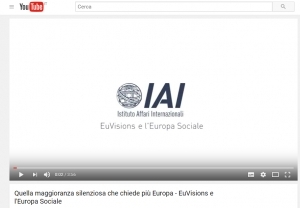 He graduated in “Political Philosophy” at the University of Milan in 2016 and worked for a Member of the European Parliament sitting in CULT and ECON Committees. His current research is mainly focused on the European Pillar of Social Rights, the ongoing initiative of the European Commission, officially launched in 2016 in order to strengthen the social dimension of the EU. His research interests are EU Governance, EU Economic Governance, Welfare State and Social Europe.